Pigging hardware components from Pigging Solutions are designed to provide the highest level of operator safety and ease of operation. 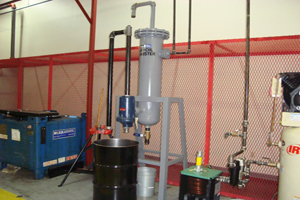 All components are professionally manufactured to ASME standards and hydro-tested at elevated pressures to assure leak-free operation and long service life. Pigging Solutions can provide ASME B31.3 certification where required. Pigging Solutions can also provide all other pigging system related components typically needed for a plug-n-play system that does not require special, or customized, design. Should the client choose to purchase these components, Pigging Solutions provides a system sketch that identifies the components and their use in the system. Our pigging systems are designed to provide optimum benefits and cost balance for each client application without sacrificing operator safety or utility. If you are looking for an effective pigging system designed for your specific application that guarantees safe and easy operation, Pigging Solutions welcomes the opportunity to discuss your project. The Isolated Pig Launcher is positioned just off the launching end of the transfer line and is isolated from the line by a piggable valve. It provides a “home base” for the pig and prevents pig exposure to the product during the transfer process. The Pigging Solutions CIP Pig Launcher is designed with additional ports to provide the capability to rinse the pig and launcher either independently or as part of a comprehensive system CIP process. To ensure quick and safe access to pigs, the CIP Pig Launcher is also equipped with the LQC pressure locking quick access safety closure. The Integrated Tee Pig Launcher combines the Pig Launcher with a Piggable Tee. The pig residing in the launcher is prevented from being drawn into the product flow by a Pig Stop. 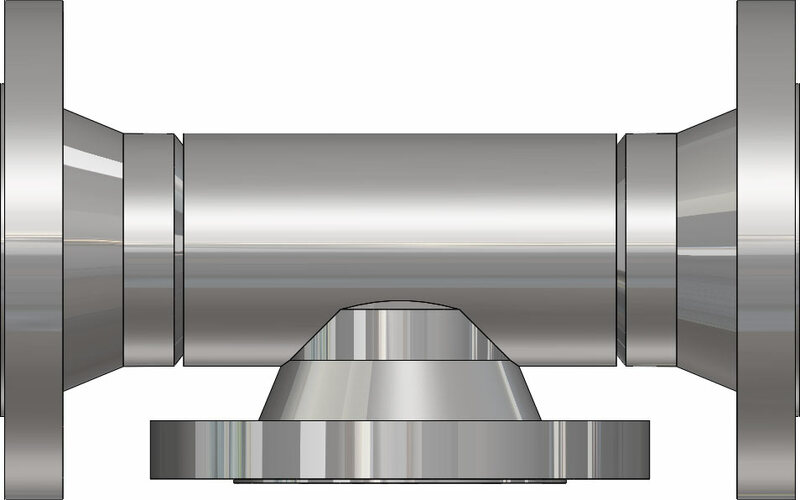 When an Integrated Tee Pig Launcher is used, a piggable isolation valve separating the launcher from the main transfer line is not needed. The Relax Pig Receiver is designed to stop the pig at the end of the transfer line, just ahead of the discharge point. The receiver is designed with 3 key features that provide the ability to stop the pig and return it to the home base pig launcher. These features include either a fixed pig stop bar or retractable pig stop, a relax chamber that allows the pig wiper disc to relax and reorient for travel back to the pig launcher, and a strategically placed fitting to provide the gas or liquid that will be used to propel the pig. The 1-Way Pig Receiver is designed to stop the pig at the end of the transfer line and is designed to provide for operator safe access and pig removal. 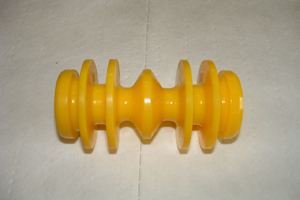 The Piggable Tee provides supply and discharge points in the pigged transfer line. Piggable Tees from Pigging Solutions are equipped with a short tee branch length and integrated tee branch pig bar. The Piggable Tee features assure smooth passage of the pig through the tee without hang-up in the tee branch. It also minimizes residual product trapped in the tee branch dead leg. 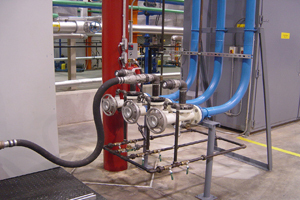 Piggable Isolation Valves are used at any point along a pigged transfer line where pigging components in the main line must be temporarily isolated. 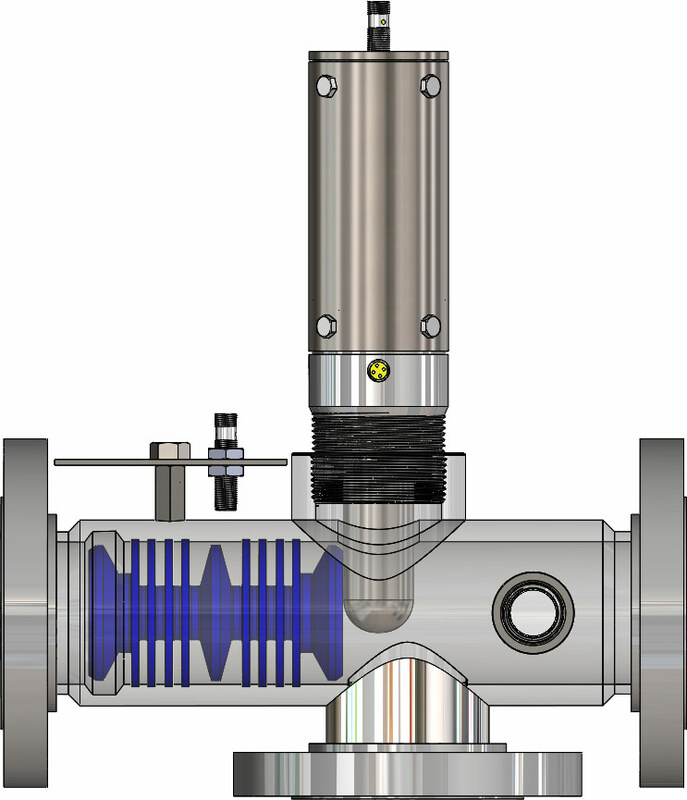 Piggable valves are frequently used to isolate the pig launcher from the transfer line and for isolating product discharge points along a single common pigged transfer line. Demisters are used to separate air from liquid mist as pigs are returned to their home base pig launcher. Demisters are recommended where alternate methods of receiving the pig return air are not readily available. 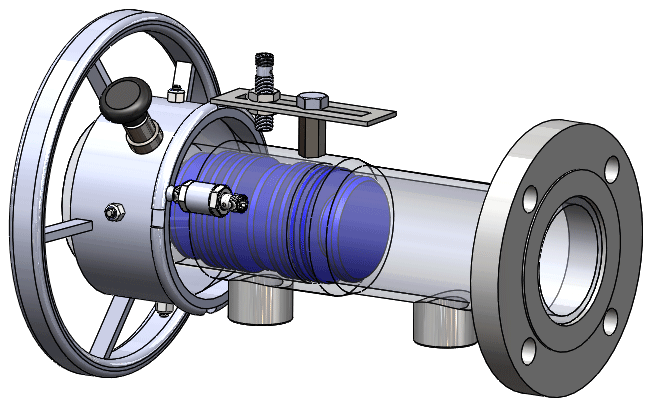 The Piggable Relax Tee and Stop is a special piggable tee assembly design to accomodate pigging to targeted discharge points along a common transfer line. This piggable design allows the pig to push the product to the targeted discharge point where it comes to a rest against a pig stop and is detected by a sensor. A relax chamber integral to the tee body allows the pig wiper disc to relax and reorient for the reverse trip back to the pig launcher. 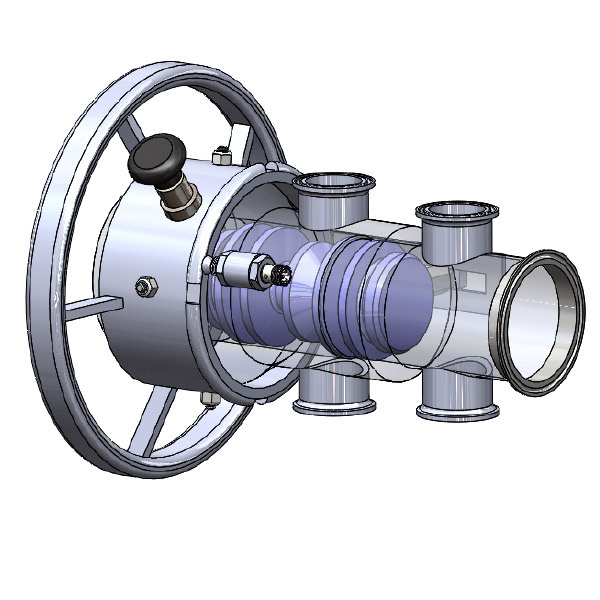 Pigging Solutions Relax T-Port Valve is a special piggable design to accommodate pigging to targeted discharge points along a common transfer line. This piggable design allows the pig to push the product to the targeted discharge point where it is detected by a sensor. A relax chamber integral to the valve allows the pig wiper disc to relax and reorient for the reverse trip back to the pig launcher. 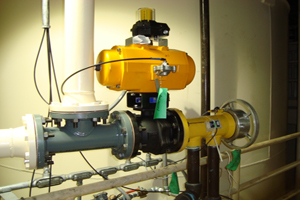 Pigging Solutions 3-Way Diverter Valve is highly effective in providing product recovery pigging to targeted discharge points along a common transfer line. 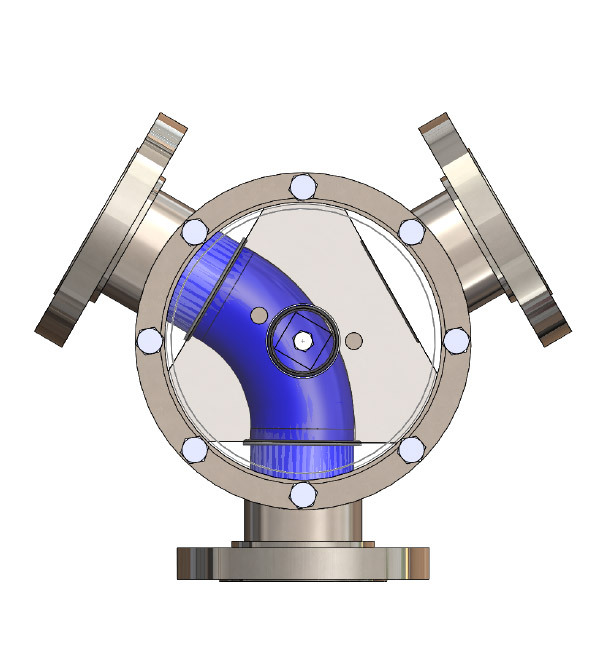 The valve design allows the pig to pass through without leaving residual product. 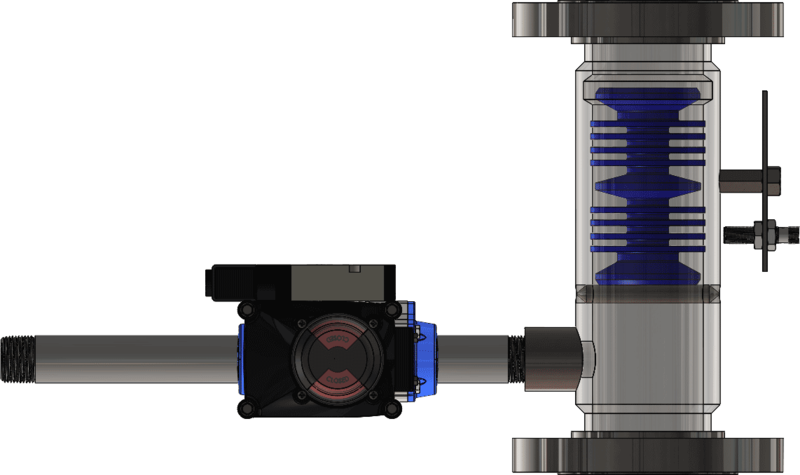 The Piggable 3-Way Diverter Valve is also commonly used to allow a single pigging system to divert flow and product recovery pigging to widely separated downstream destinations such as container filling and bulk loading. In many product transfer applications, the pipeline system must handle product movement from multiple sources to multiple destinations. 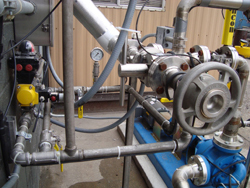 Piggable Manifold, Piggable 3-Way Diverter Valves and Transfer Panels are designed and provided by Pigging Solutions to meet the specific application need. Pigging system automation can either be standalone and operated with programmable logic controller (PLC) or integrated into a larger plant wide control system. Pigging Solutions can provide PLC stand-alone systems as well as the pigging system automation sequence for integration into the plant wide systems. Pigging system operation requires periodic confirmation that pigs have reached their target destination. Confirmation can be provided by the use of Manual Pig Detectors or Magnetic Pig Sensors. 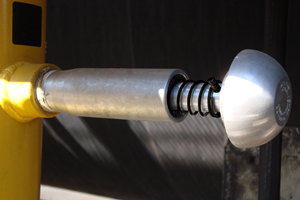 Process Pigs are flexible cylindrical elastomers with wiper discs that are tightly compressed against the inside wall of the transfer line. As the pig moves through the transfer line it both displaces product and cleans the inside pipe wall. 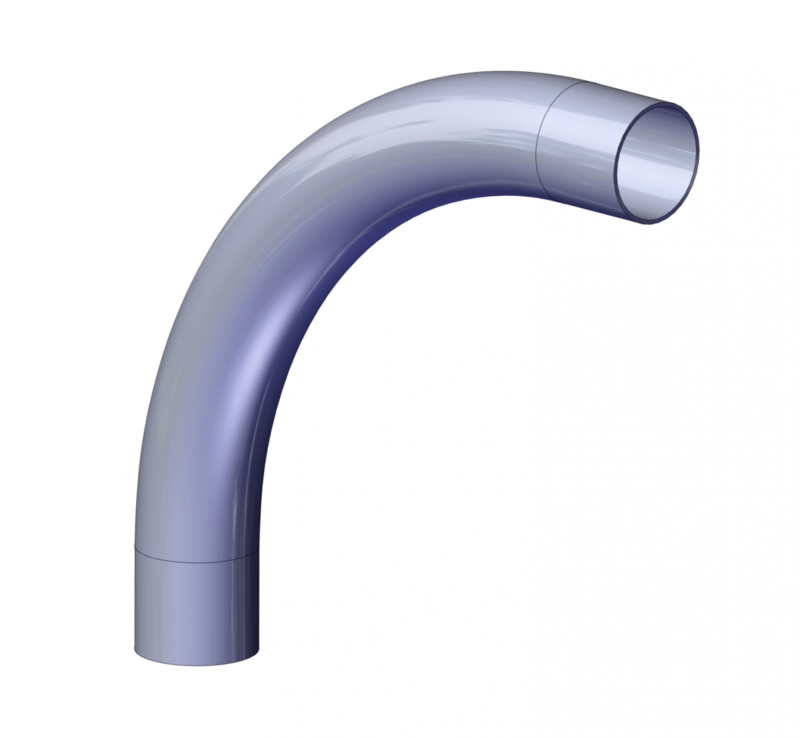 Piggable Elbows are specially fabricated for pigging applications and designed with features to provide smooth pig passage with minimal increased pressure requirements. Cleaning pigs are used to expedite line cleaning prior to commissioning. Cleaning pigs are specially designed to scour the inside pipe walls, remove debris, and swab the pipeline into dust bags. Cleaning pigs typically have a soft core which allows them to negotiate passageway restrictions like tight elbows and to be used with both piggable and standard transfer piping. Pigging system affiliated components are those key components associated with the operation of the pigging system but not having special functional design needed for the pigging application.